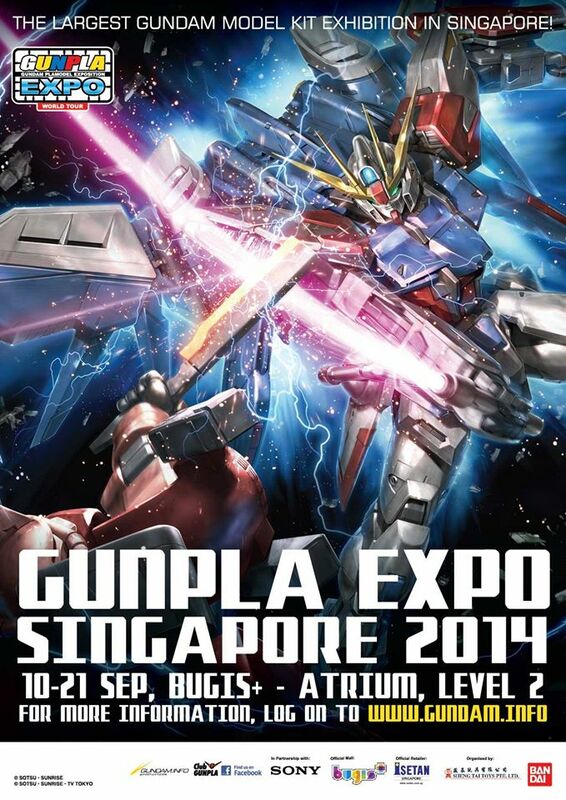 September is going to be an awesome week as Gundam Expo Singapore 2014 will be held again! This time it would be from 10 to 21 September at Bugis+ Atrium level 2! 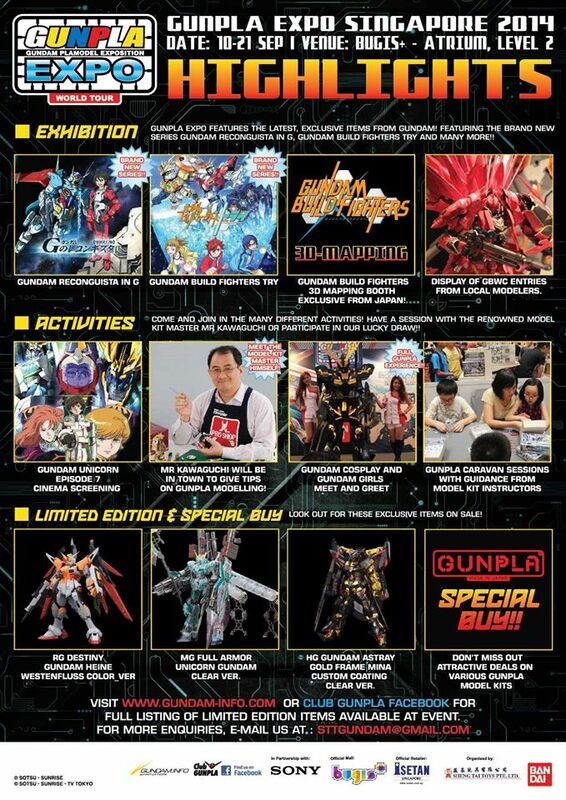 The event will have Exhibition on Gundam Build fighter goodies, 3D mapping and loads of display of GBWC 2014 entries! There will be activities like Gundam Unicorn Episode 7 screening, Mr Kawaguchi giving tips on Gunpla modelling, Gundam Cosplay and Gunpla caravan for kids to learn how to build Gunpla!